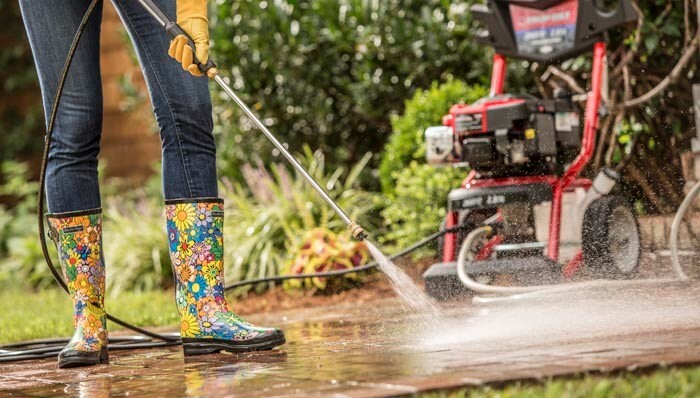 very pressure washer has the same functionality, the water gets into the pressure washer at low pressure, and the machine throws the water at an increased pressure to clean any surface efficiently. This process offers an enhanced cleaning power as compared to a conventional garden hosepipe, and eventually, cleans any surface containing dirt and grime. There different types of pressure washers available in the market and we’ll discuss some of their applications and advantages. An electric pressure washer is a great option if you are seeking for daily household washing purposes. These washers are suitable for lighter jobs like cleaning the walls of your home or washing your car, and for removing dirt and grime from your floors and garden tiles. There are several pressure washers available in the market depending on their individual capacity. You can choose any machine as per your requirements and overall budget. The best way to search for an efficient pressure washer is to search online. Numerous websites offer an easy comparison between different brands and portability. The thing which makes electric washers more common for household washing is their affordable price as compared to the gas powered pressure washers. Apart from this, the electric machines have a lesser power output and can only be used for domestic purposes. 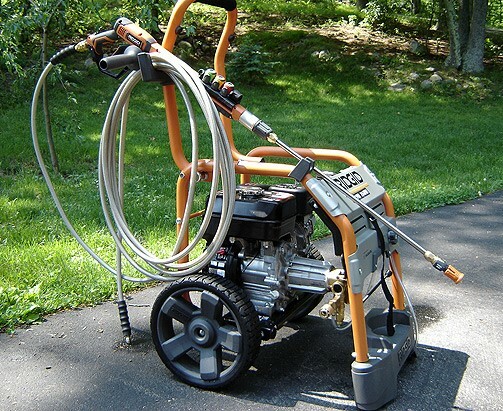 For heavy-duty usage and industry level cleaning, one must consider gas pressure washers. Gas pressure washers are typical of high power output as compared to the traditional electric pressure washers. These washers work perfectly for cleaning larger surface area such as decks, and provide greater mobility since they do not require any power outlet for continuous energy supply. You can freely take the machine to the desired area and clean the surface accordingly. Also, the gas washers usually have a manual pull-start that can be a disadvantage for some users, but some models are equipped with an electric start option. The gas pressure washers have power in the range of 2000 to 2800 PSI (Pounds per Square Inch), which is much more than the 1300 to 1700 PSI of the normal electric pressure washer. You can choose the one that perfectly meets your requirement and doesn’t burn a hole in your pocket. You can search the web for various models and compare them according to their power and energy consumption. For domestic purposes like washing car, bike, home exteriors, an electric pressure washer with 1700 PSI and above is ideal. You can consider some basic models for these purposes as they are affordable and can be effortlessly used by anyone regardless of the age and gender. If you are seeking for a tough and durable pressure washer for commercial purposes, you can opt for gas pressure washers with adequate power output. The market is flooded with several pressure washers for different purposes. You must analyze your requirements and then choose the suitable washer. Also, you can easily compare different machines and their services by searching them on the internet.